Over the years I have come across many authors who highlight the importance of cycles – tuning in to the cycles of nature and our lives, and recognising, respecting and living in harmony with them. This has always resonated deeply with me. Coming from Ireland (where you can sometimes experience what feels like all four seasons in one day! ), I’ve always felt that it wouldn’t suit me to live in a country where it was hot all year round, without a journey into the darker, cooler days of autumn and winter, and a re-emergence back into the bright light of spring and summer. In the last couple of years, however, I’ve been lucky enough to receive a much deeper understanding of cyclic living, one that has truly transformed my daily experience and allowed me to say ‘yes’ to every aspect of my being. I first met Alexandra Pope and Sjanie Hugo Wurlitzer at a workshop they were teaching about the menstrual cycle with the wonderful mind, body and spirit events organisation, Alternatives. I had signed up as, like many women, I was experiencing difficulties with my own cycle and was intrigued to learn some tips on how to help heal it. Over the next two days, what Alexandra and Sjanie revealed about the power of working with your menstrual cycle went far beyond my expectations, and introduced me to a whole new way of living consciously. 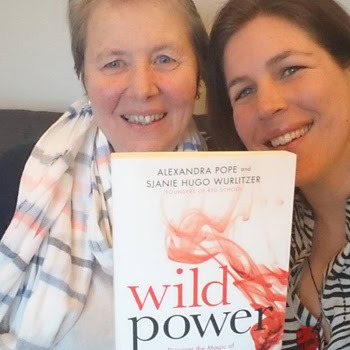 Alexandra and Sjanie are experts in the field of women’s wellbeing and spirituality, but it is the menstrual cycle and the feminine journey, from the first bleed at menarche through to the deep sense of authority that comes with menopause and beyond, that has captured their imagination. Their passion for and belief in this work has led them to found the UK’s Red School. With over 30 years’ experience in this field, they have worked with countless women and developed a deep understanding of the physical, emotional and spiritual journey a woman experiences each menstrual month. At that first workshop I attended, Alexandra and Sjanie started with the basics – teaching us how each phase of the cycle corresponds to a season, and brings with it different qualities, experiences, challenges and ‘superpowers’ – and helped us to see the importance of viewing ourselves as cyclic beings who are not meant to blossom and shine every day because we also need gentler phases of rest and retreat. Teaching us about the ‘archetypal’ cycle, they continuously emphasised the importance of charting your own experiences daily, to build a clear map of your own unique cycle, and learn what choices will best support you to live in harmony with it. They shared three detailed ‘maps’ to help us navigate the challenges and make the most of the energies and opportunities present at each stage. We then looked at how these maps corresponded to our journey through life, and could be used to navigate it in the same way. Many women at the workshop had already gone through, or were in the process of going through, menopause and echoed Alexandra’s sentiments when she spoke about how relevant this knowledge still is for her in her post-menopausal years. Since that weekend, I’ve continued to learn from Alexandra and Sjanie through their more advanced trainings and am truly in awe of the depth of their knowledge on this subject. 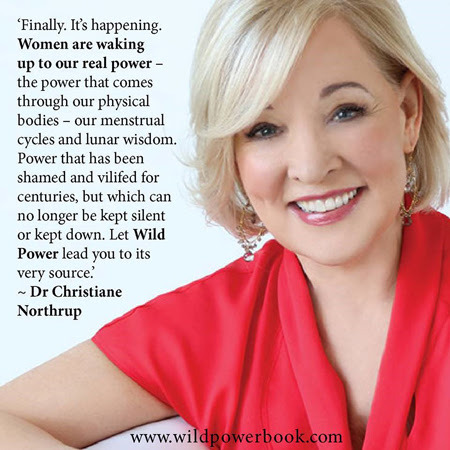 Their upcoming book Wild Power: Discover the Magic of Your Menstrual Cycle and Awaken the Feminine Path to Power is a complete blueprint to the female experience, teaching you how to navigate and celebrate it, and ultimately restoring women to wholeness and reinstating the full majesty and grace of the Feminine.